NY Divorce? - Stacey Balduf, Esq. « Custody Agreement, Can It Be Changed? What are the general requirements to get a NY Divorce? 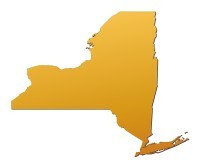 Do I have to live in NY to get NY Divorce? your marriage was performed in New York or you lived in New York as a married couple, and you or your spouse lived in New York for one continuous year before starting the divorce process. The best representation or the cheapest? Legal costs.